Working under the direction of the Selfridges Creative Presentation team, Propability were responsible for creating elements featured across many of the windows. 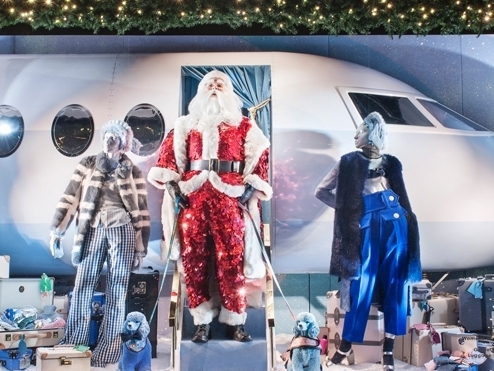 The private jet for Santa's arrival to the store was sculpted on the Propability robotic arm and fibre glassed before being filled, sanded, painted and lacquered in high gloss – almost life size it measures 4.5 meters long. Other features created by Propability for the 'Shine On' windows included the interior of a train, a cable car ski pod, a series of 41 penguins in two different poses and baby green and pink deer positioned in all windows.